Same as Sushi Class 101 + Nigiri technique. 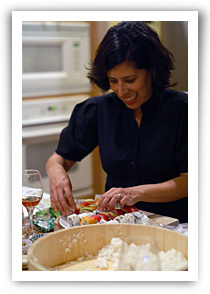 If your kids love sushi, especially rolls, they will love this class. 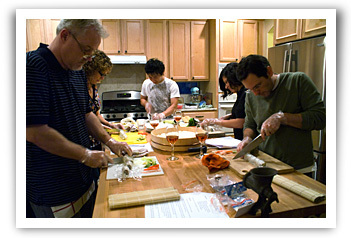 We will teach them the basic technique for California rolls. Next, your child make his/her own roll with their favorite ingredients such as vegetables, fruits, cheese and meat. This is a great summer activity for playgroups, birthday parties, or special occasions with friends. All classes subject to our Terms & Conditions.